Choosing the right hair for your wedding day is a huge decision! You want your hair to not only reflect your style but you want to make a statement. It is important however to remember that you want to look like yourself on your wedding day. If you usually wear your hair down, choosing a tight up do may not suite your personality. On the contrary, if you usually wear your hair back, it may seem odd to choose to wear your hair down on your wedding day. 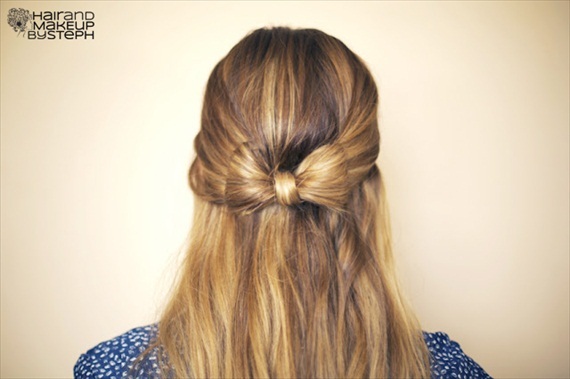 Think of it this way…go for a style that is similar to your everyday hair but make it fabulous! One way to accomplish this is to accessorize your hair. 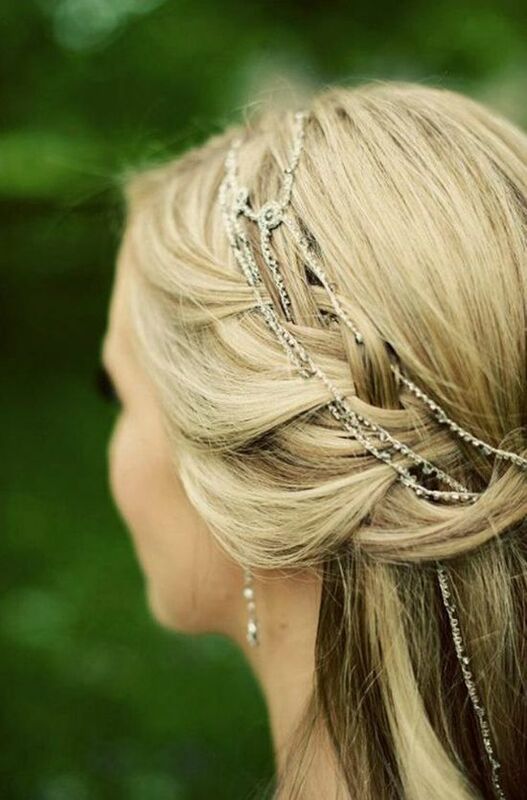 From headbands to flower headpieces to braids, there are a ton of ways to spruce up your wedding day hair and make it stunning! Don’t be afraid to follow a trend if you love the way it looks…this is the great thing about history is that from a picture, you can usually identify an era which I think is special! Good luck choosing your bridal hair! Veils can be your BEST accessory and with a stunning hair comb beneath it! For the edgy bride that still wants to evoke pretty while keeping her personality! 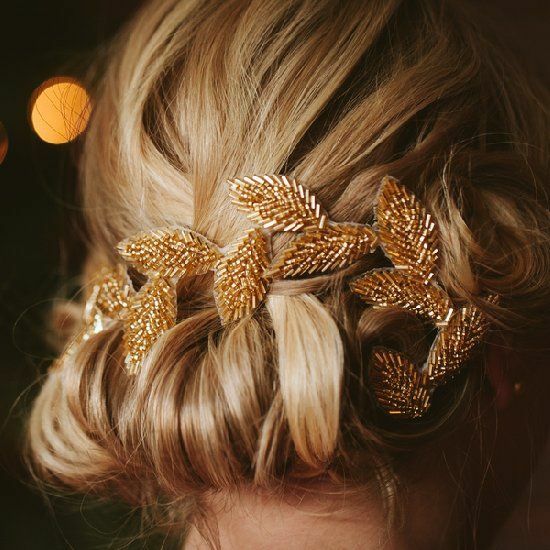 Sometimes your own hair can be your best accessory! If I could have my wedding again, I would totally do this! I think this is absolutely adorable! It would not only work for your weddings day but also for your rehearsal or bridal shower. 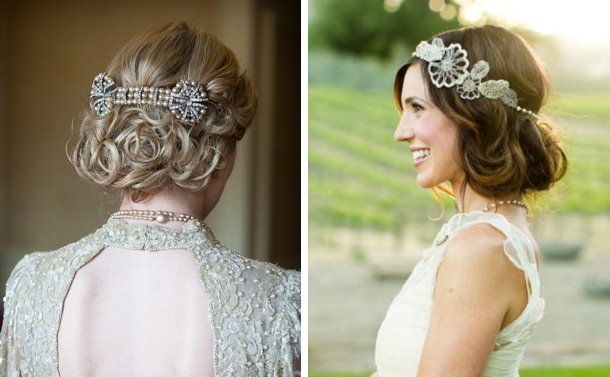 I am LOVING these Gatsby inspired hair pieces! I love brides in traditional wedding veils but these bridal head bands might have you ditching the veil for these stylish and modern hair accessories. You can find a head band to match almost any gown. These headbands are made out of tulle, lace and even crystals. Depending on the style of the dress you can find a more classic and simple head band. Or choose a large headband made out of crystals or flowers to make a bold statement. Will you be ditching your veil for a bridal headband?